Read the stories that were featured in the May edition of The Big Thrill. 28 new thrillers this month from ITW members, including 5 from first-time authors H.W. “Buzz” Bernard, Nancy Naigle, Lynn Sheene, Virna DePaul, and Fred Lichtenberg, plus news from South Africa. 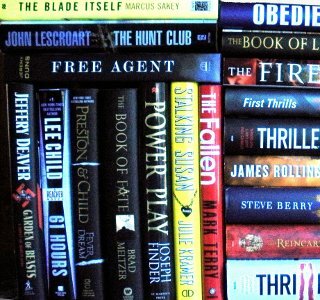 Coming next month: the latest thrillers from Lynn Sholes & Joe Moore, D. P. Lyle, Bill Cameron, Lee Goldberg, William Dietrich, Katie Alender, Jon Land, Steven Pressfield, Debra Webb, Joseph Finder, James Rollins, Julie Hyzy, Autumn Jordon, Ken Mercer, Jeannie Holmes, RJ Ellory, April Smith, Gary Braver, DJ McIntosh and more. It’s gonna be a thriller! Two New Features on The Big Thrill Website! 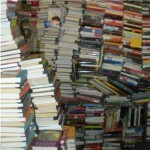 Check out all the latest thrilling Book News from International Thriller Writers members. Award nominations, book deals, new e-book releases, and more! May is “Agents Month” at the Thriller Roundtable! Week of May 23 – 29: “What is the one thing authors can do to help make you, and ultimately themselves, more successful?” with Debbie Carter, Janet Reid, and more! Available in Paperback May 24! 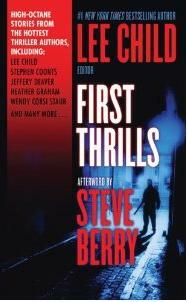 All proceeds from the sales of FIRST THRILLS have been donated by the authors to support ITW’s efforts to promote and elevate the thriller genre. Congratulations to Kathy Holmes, the winner of this month’s BIG THRILL giveaway. Cathy will receive an assortment of signed thrillers including Blood and Ashes by Matt Hilton, Lessons in Trust by Charlie Cochrane, Rebuild My World by Cheryl Norman, Winged Obsession by Jessica Speart, Killer Routine by Alan Orloff, Diagnosis Death by Richard L. Mabry, M.D., Exacerbyte by Cat Connor, Haunted by Douglas Misquita, Come and Find Me by Hallie Ephron, Rogue Patriot by Gerald Meunier, The Profession by Steven Pressfield, Ashes of the Red Heifer by Shannon Baker, Cat Sitter Among the Pigeons by Blaize Clement, The Shadow Guard by Diane Whiteside, Missing by Debra Webb, Bulletproof Hearts by Kay Thomas, and Hitched and Hunted by Paula Graves. Ken Follett to teach at CraftFest. Karin Slaughter to be awarded the 2011 Silver Bullet Award for her “Save the Libraries” program. Joe McGinniss to receive the ITW True Thriller Award. AgentFest to be the largest event of its kind in the world! Over 55 agents will join us this year! ThrillerFest VI is less than 4 months away! Joining us are 2011 ThrillerMaster R. L. Stine, 2010 ThrillerMaster Ken Follett, and Spotlight Authors Diana Gabaldon, John Lescroart, and Robert Crais. We’re back at the Grand Hyatt in New York City from July 6-9th, 2011.